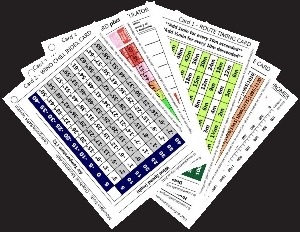 The cards are useful to anyone who regularly ventures out into the hills or mountains, especially to those undertaking NNAS, WGL, ML (incl. Winter, IML, MIA, MIC,) or one of the DoE Awards. With over 1500 individual cards sold users of our cards are assured of being in good company!